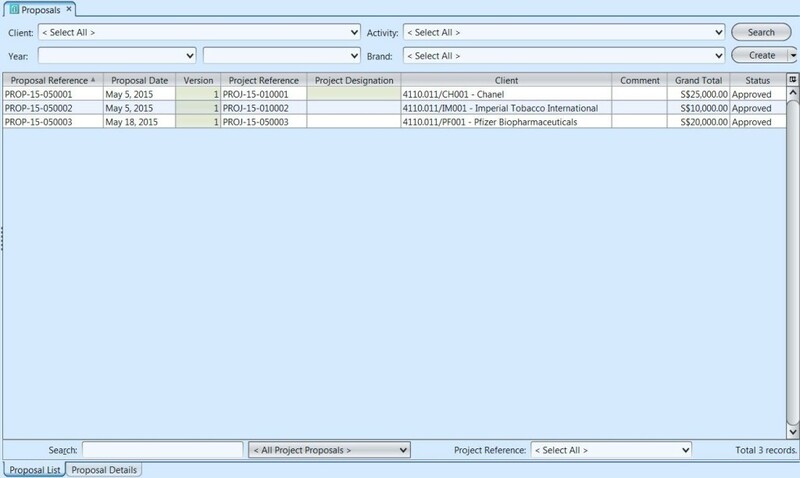 Proposal view allows user to view and manage project proposals. User can print project proposals to send to customers. Issuing of the proposal document itself is to be done from “Projects” application.